The art installation IN BETWEEN LIGHTS is a precise, focused intervention in public space, exchanging two street lanterns between the twin cities Cologne and Tunis – continents apart. 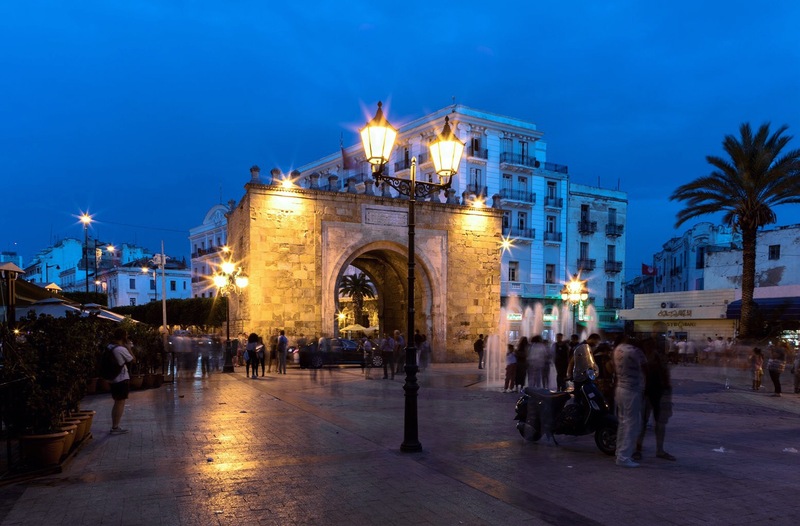 By exchanging a Tunis street light with a Cologne street light, IN BETWEEN LIGHTS creates a visible connection link between them, highlighting 65 years of inter-continental partnership between the twin cities in Tunisia and Germany, Northern Africa and Europe. 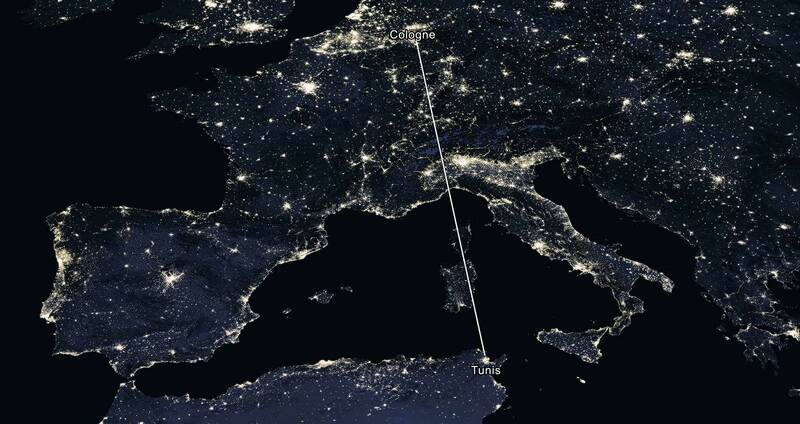 The street lights travel across the sea in opposite directions, creating a link between two invisible spaces. The complex process of realization – involving exchange between the cities’ administrations, art institutions, logistic companies, harbours, nautical companies, truck companies as well as local city workers in Tunis and Cologne – is inherent part of the concept. Exchanging two lanterns from two continents, each with unique cultural, historical and political background, connects the cities in a visible way, also bringing their original context to the new location. Themes of colonialism and migration are touched. The exchange of two street lights highlights aspects of the complex global connection of spaces, places and their interwoven past, present and future. Pre-existing spatial and infrastructural conditions are consciously utilised instead of claiming new space to avoid mimicking strategies of colonization. Both street light types contrast with their new surroundings, irritating the public space. Each relocated street light establishes a unique relation and connection with the other lanterns. It weaves a subtle field of tension among them, changing the dynamic of place – in Tunis and in Cologne – while persistently fulfilling their purpose. IN BETWEEN LIGHTS is realised in cooperation with Collumina light art festival Cologne and Interference light art festival Tunis via Academy of Media Arts Cologne, Urban Stage ff – Mischa Kuball. Preparing one of four lantern heads of the Tunis lantern for shipment in Tunis. First four of six finished boxes in Tunis ready for shipment from Tunisia to Germany. Arrival of Tunis lantern crates in Cologne. Unpacking the Tunis lantern heads in Cologne, checking the lights. Covering the installed Tunis lantern at Rudolfplatz before the opening. Screening of work in progress video at Galerie Seippel, Cologne, during festival days 22.3-24.3.2018 for COLLUMINA light art festival.